A new publication, resulting from a collaboration between our group and japanese colleagues has just been accepted in Nanoletters. 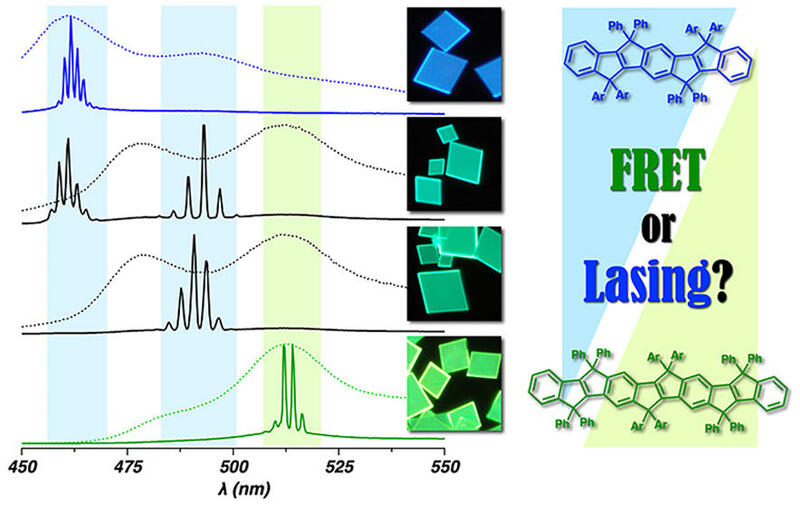 Microcrystals of COPV’s (carbon-bridged oligo-phenylenevinylenes) have been prepared, with donor and acceptor characters, and used as optical resonators. Depending on the laser pumping intensity, either FRET or lasing was measured, with a control of the lasing wavelength through the doping level of the acceptor. This is a step towards the realization of organic solid FRET lasers with microcrystalline resonators. You will find the paper in the publications page.